The One Minute Manager is a book that quickly shows you how to implement very practical management techniques in your life. In the section, you will find several studies in medicine and behavioral sciences that will show you why these simple methods work so well. And the most important - how to apply them in your life! 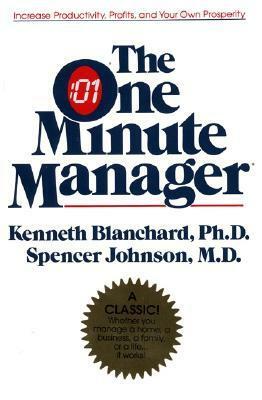 Ken Blanchard, one of the most influential leadership experts in the world, is the coauthor of the bestseller, The One Minute Manager, as well as 60 other books whose combined sales total more than 21 million copies. His groundbreaking works have been translated into more than 27 languages. In 2005, he was inducted into Amazon’s Hall of Fame as one of the top 25 best-selling authors of all time. Spencer Johnson, M.D. left behind a medical career to write about life. The most famous of his works, “Who Moved My Cheese?" was published in 1998. The book became a publishing phenomenon and a workplace manual. Over 50 million copies of his books are in use worldwide and available in 47 languages.